A home near Pescadero, California lost their dog in the middle of the night recently. It was confirmed by DNA testing that a mountain lion entered the bedroom through the french doors and snatched it from the foot of the bed. Sleeping in that bed at the time was the owner and her daughter. 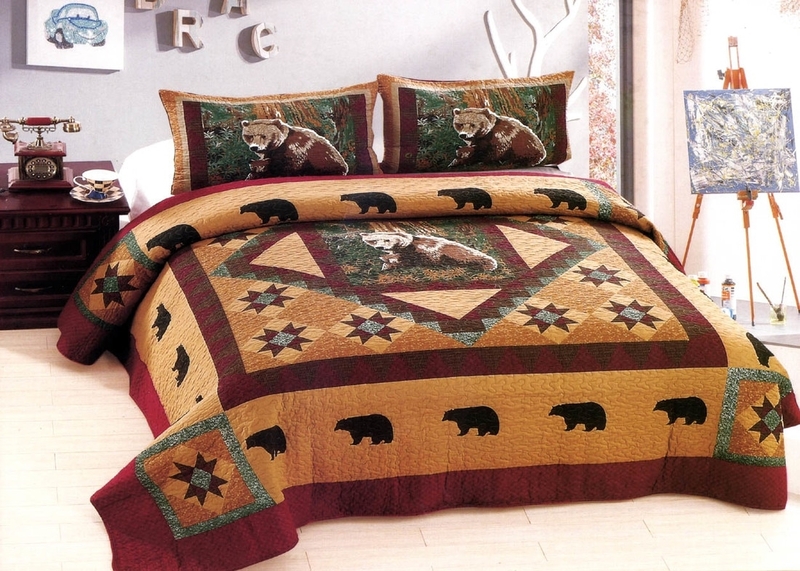 A much nicer way to bring the wild mountain outdoors into your bedroom would be to put a non-invasive Mountain Bear Cabin Style Cotton Quilt Set on your bed instead. It's safer for everyone, it makes for much more pleasant surroundings and you'll sleep better all around.